Plants and people are connected, and our lives are shaped by these connections on a very basic level. The neighborhood of Jackson Ward, is a culturally and botanically diverse area with a long and varied history. I have seen the neighborhood of Jackson Ward change significantly over the past five years and it was the rapid nature of this change that inspired me to archive the botany and traces of the people of Jackson Ward as they are now, by examining the plants, meeting the people and discovering what specific connections exist between them. 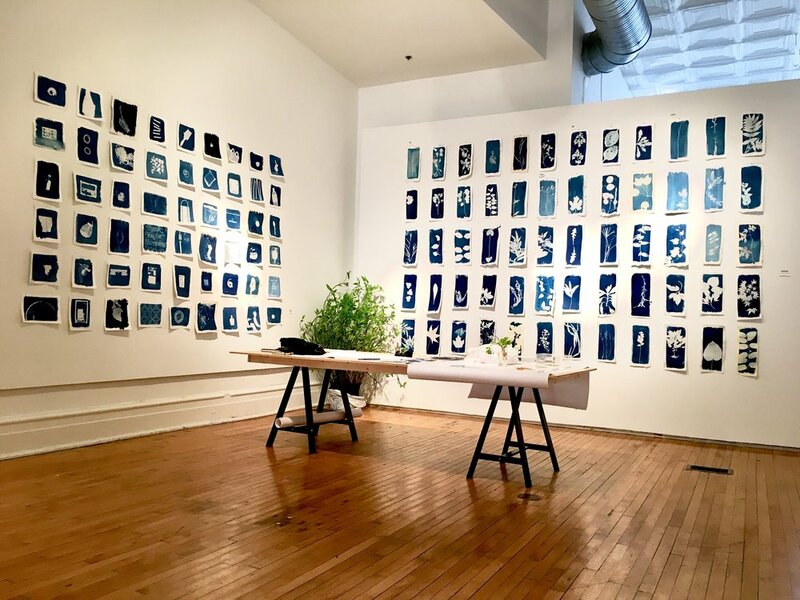 This body of work is the result of exploring cyanotype as a means of capturing and recording a ‘blueprint’ of Jackson Ward. The work produced for this exhibition was the result of a partnership with 1708 Gallery, and assistance from BeautifulRVA. It is the visual representation of the heart of this project, which was to map and archive the community as it exists today, and to ascertain meaningful ways this neighborhood may be benefited by this and future projects. This project has allowed me to move in a different direction with my own work, but at the core, my focus is and always has been to inspire a shifted perspective on the way we view the natural world; to explore and appreciate what is so often overlooked and to realize the potential for existence in balance with nature.